You'll be £12.99 closer to your next £10.00 credit when you purchase Barnsley Football Club's Greatest Games. What's this? 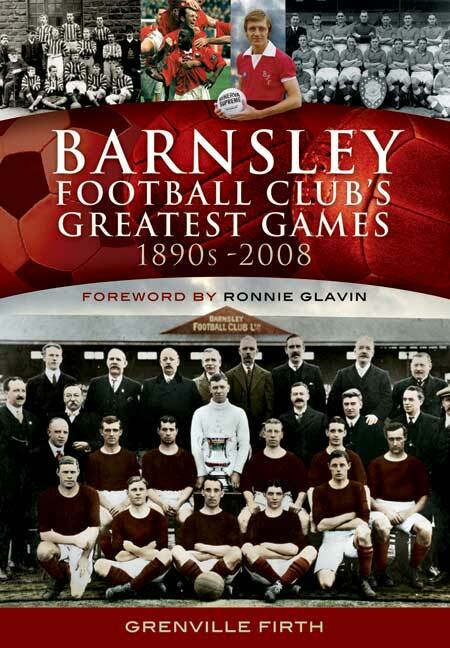 A variety of games spanning the entire history of Barnsley Football Club, from its origins as Barnsley St Peters to the present-day. Over 50 matches are included, from 4,600 fixtures. They include 2 FA Cup FInals, Semi-FInals, recent cup triumphs against Liverpool at Anfield andf Chelsea at Oakwell, the recent new Wembley experience and the last play-off at the Millennium Stadium. Also included is the historic game against Bradford City after which Barnsley obtained promotion to the Premier League. Apart from a summary report, reference is also made to post-match comments from managers and players. The reason for inclusion of a particular match varies according to several key factors. It might be a notable FA Cup game against formidable opponents, maybe a key battle that resulted in promotion, a spectacular score line or even a fixture in which the brilliance of one or more players was exceptional. From the latter, examples include Frank Eaton’s first ever five goals in one match, the great Tommy Taylor’s hat-trick in only his second appearance for the club and a brilliant individual performance by Arthur Kaye. Also included are several famous games in which the players performed exceptionally well even in the face of defeat.